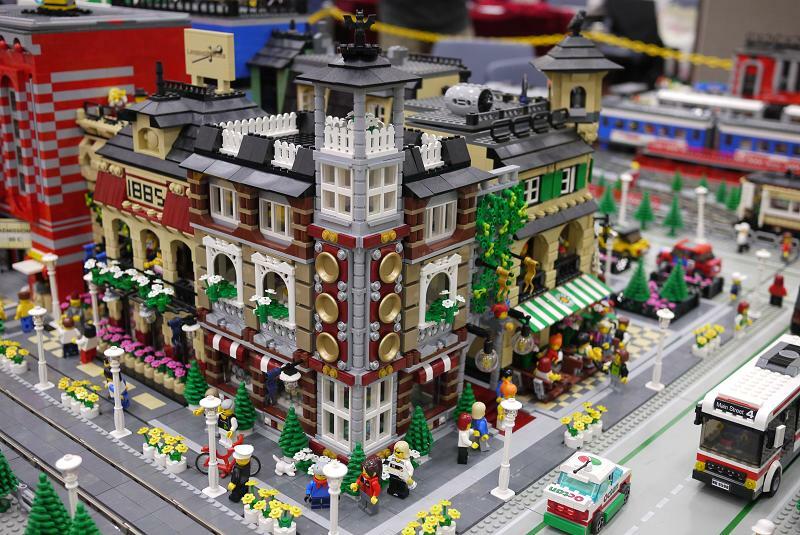 Brick Town Talk: January 2010 - LEGO Town, Architecture, Building Tips, Inspiration Ideas, and more! 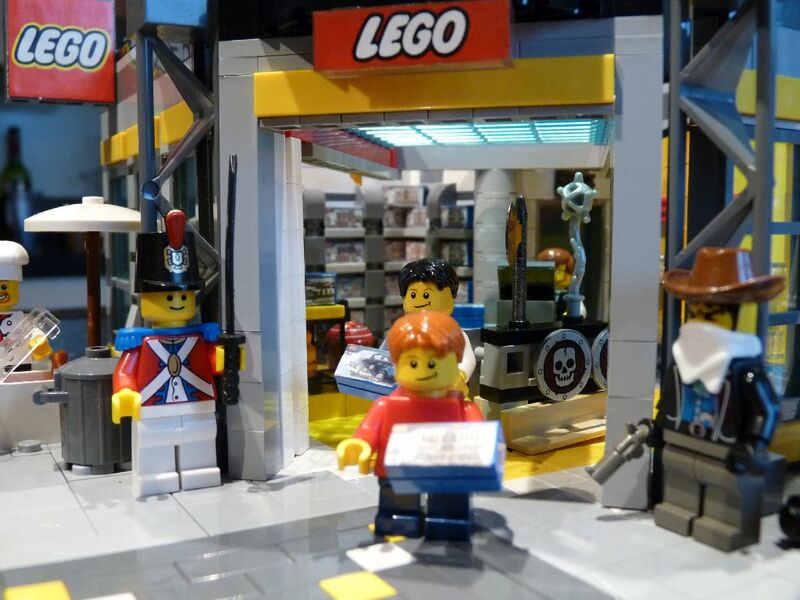 It seems that LEGO collections across Europe have been very busy lately. The more I look the more detail I see. I particularly like the climbing plants, the large lamps and the colour scheme. Fantastic andybear. However, we have had a recent wave of worthless advertisements being posted that are totally irrelevant to the subject matter. ADVERTISEMENTS WILL BE DELETED A SHORT TIME AFTER BEING POSTED. YOU ARE WASTING YOUR TIME, SO DON'T BOTHER IN THE FIRST PLACE. 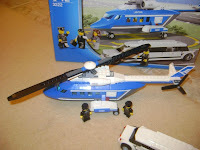 Yet another LEGO product I've been loking forward to. This image is available on Amazon. You can also see a trailer on Youtube. This is a wonderful way to display the larger sets from the past few years. Loving the swans. By midnightcat. I've been looking forward to this new set. This one is listed by toyswanted-123 on ebay. 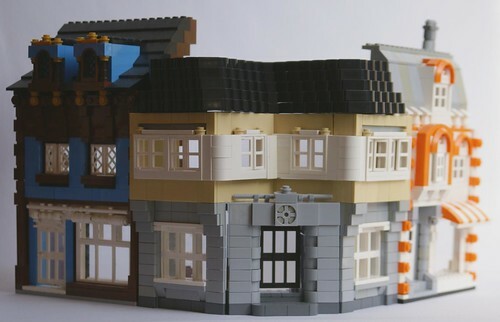 These houses are really in more of a classic town scale (~7 bricks per floor instead of ~10 bricks per floor for Cafe Corner scale), but they show some interesting techniques. 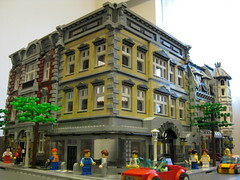 Who hasn't wondered if we could save parts by only building the visible parts of buildings instead of a full structure? 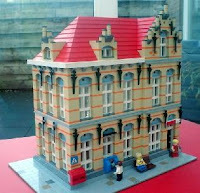 There are some really interesting techniques used in this modular post office by rileeuw. Thank goodness for the newer range of windows. 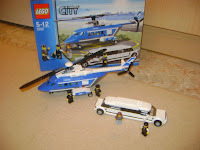 Thank you for all the messages about the new modular building. We will show pictures when they become official. 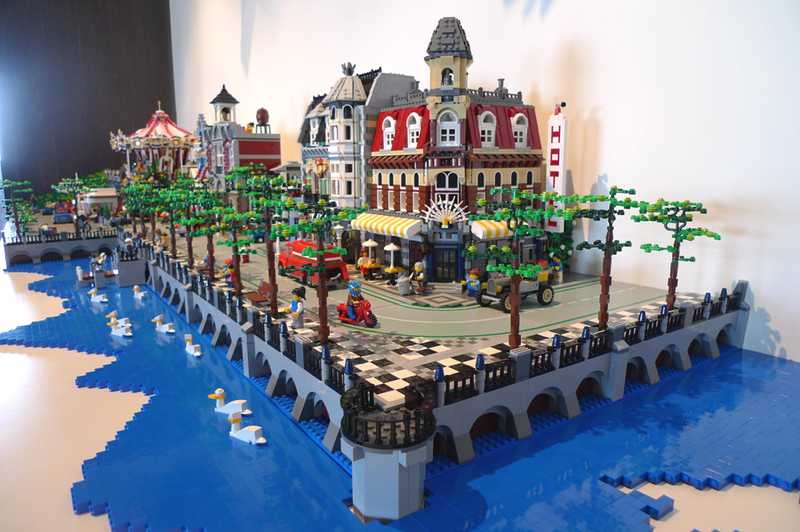 In this spectacular creation by a-corp, there's everything one can enjoy in a MOC. The photography really makes the building look dominant over the surrounding intersection, something that I personally just love about this creation. The architecture along with the subtle colors also makes it extremely realistic. Furthermore, put up against a modified Fire Brigade set, it looks like it belonged there all along. No doubt a source for inspiration. There's more buildings now too, so check them out! 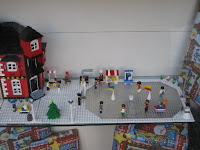 This chilly ice skating rink was created by AlfredD. I'm a teacher - so I haven't been to work much this week. 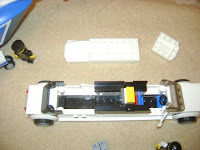 I discovered this MOC this morning and thought it summed up the weeks weather quite well. Stories about the weather you've been having across the world most welcome. This elegant boutique was created by Badsneaker. Read more about it on Eurobricks. 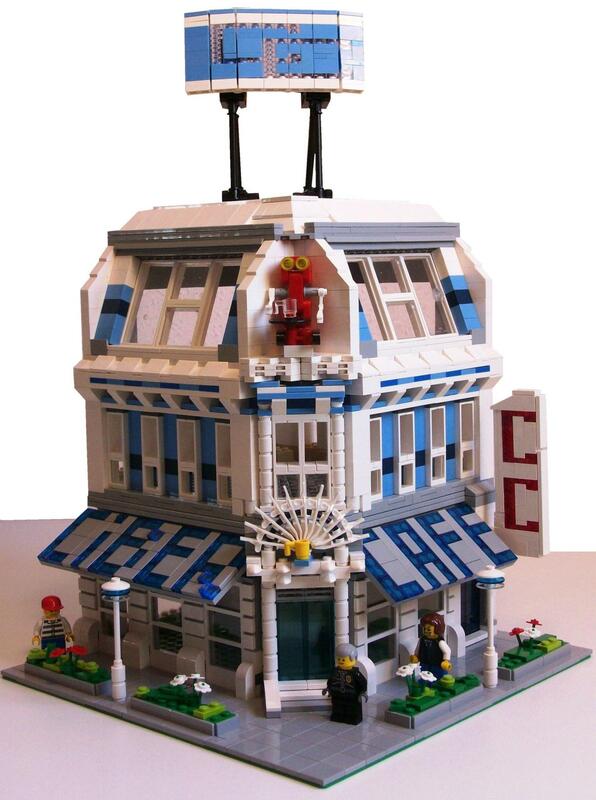 I Scream Clone's Modular Building consists of a Chinese restaurant, and for those of whom less exotic, an ice cream parlor. The choice of colors is terrific, supplementing it well with any CC building, as shown in the picture. It's a nice solid looking structure with a great facade, so check it out! Joaquin brings us this fantastic Cyber Cafe. I especially like the creative use of the windows, but best of all is the welcoming robot detail in the roof. Brilliant.